Know what you want in your new home in Eastern Mass or Rhode Island? Just fill in the details here (including the town you’d like to live in) and check out your options. Bear in mind that these homes may already be getting offers on them. So what to do? That’s why I’m here – to Save YOU Time! Text me or give me a call and I’ll set up your viewings to help refine your search so you’re not wasting time on homes that are going under contract. I can also fill you in on the neighborhoods, restaurants, schools and other important details that are not in this search engine! PLUS, I’m connected! Whether you choose my services or not, I know all the best folks to help you with travel, lending, relocation, moving arrangements and more. Let me buy you a cup of coffee and we’ll chat about your questions, wants, and needs in your new home and town. Welcome to my area! Text me or call me at (508)714-9049 or email me at lorraine.riendeau@exprealty.com. Text me or call me at (508)714-9049 or email me at lorraine.riendeau@exprealty.com. P.S. Check out the fun, short videos below! Yes, YOUR home ownership dreams CAN come true(with a little help from me!). Enjoy watching this short video! Agents! 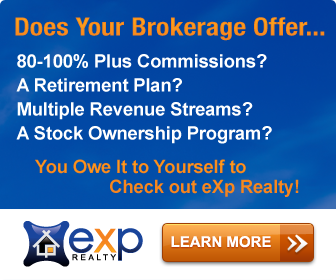 Are YOU looking for a new brokerage to call home? Watch this 1 minute video. It could change your life.